He was educated at the Royal Belfast Academical Institution, University College, Oxford (B.A., First Class Hons. in English) and Saybrook Institute, San Francisco (Ph.D.in Psychology). When he first found himself writing poetry he resolved never to make a living from it or by teaching it, and that any incidental earnings from poems would go towards publishing poetry by himself and others. He has worked as a lecturer, part time farmer, small press publisher, psychotherapist, consultant clinical neuropsychologist in the NHS and Canadian health services, and as an expert witness in criminal and civil cases. He lives in London where he has a part time practice in neuropsychology and psychotherapy supervision (See neuropsychology.sh) and does occasional neuropsychology supervision in the NHS. 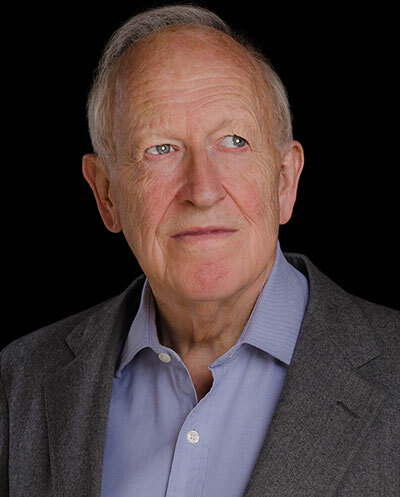 In 2013 he founded Rún Press Ltd (Ireland), now Rune Press Ltd (UK) www.runepress.com. General Psychology: Emotional First Aid, a Crisis Handbook (Station Hill, NY, 1984). Couple Dynamics (New Horizon, New Jersey, 1985). Pulsation – From Wilhelm Reich to Neurodynamic Psychotherapy , 2014 ( www.parmenidesbooks.ie). Poetry and Neuroscience: Time / No Time: The Paradox of Poetry and Physics, 2013 (www.parmenidesbooks.ie). Fiction: The Devil’s Making – A Victorian Mystery (Stone Flower, Canada, 2013; Macmillan USA, 2015). Winner of Arthur Ellis Crime Novel award (Canada) for Best Novel, 2014. Desire in Belfast (1992): Sheila O’Hagan, Poetry Ireland Review: In Haldane, poet and environment are so locked they behave as one. If the seas crash and toss, so do the lovers… His is a new and exciting version of the pathetic fallacy…. Haldane relates to the natural world as if its impulses were his own…. But nowhere are lovers more emphatically entwined with the natural world than in the vivid and powerful ‘Baie des Chaleurs’…where the poet addresses his love as though she were the very sea itself. Always Two (2009): David Cameron, Poetry Ireland Review: An anthology of great poetry descriptive of love’s long middle part would be pocketbook-size. But this is where Haldane excels… If Haldane is not a ‘love poet’ in any limiting sense, one quality he does share with such poets through the ages is a ravishing lyrical power… As astonishingly varied as Haldane’s poems undoubtedly are, they display specific characteristics, a consistent voice, which mark them out as written by Seán Haldane and no other. Helena Nelson, Dark Horse: Reading through Haldane’s volume is an extraordinary experience, not unlike walking very close to a waterfall. Things sparkle and flash on all sides: one becomes mesmerised and fascinated by the energy, the force of the flow…I am not sure whether Haldane’s other existence in neuropsychology has to do with it, but there is often the sense of a mind watching itself with the reader invited into the brain. It is eerie and intense. Sarah Weinman. National Post (Canada): Haldane makes the reader feel as if they’ve been dropped into the daily lives of those living in 1869-era Victoria, and refuses to shy away from the truth in favour of a more politically correct approach to historical fiction. Ottawa Review of Books: In what is truly an extraordinary narrative of 19th century detective work, Sean Haldane has demonstrated his exemplary writing skills. Kirkus Reviews (USA): Haldane’s first mystery, evocative and elegantly written, is a deeply philosophical look at a relatively unknown historical period. Publishers Weekly (USA): An enthralling read. Library Journal (USA): Haldane never shies away from period-specific language and attitudes, which make readers feel as though they are walking the dirty streets of Victoria by his side. Historical whodunit fans will relish this exciting trip to 19th century frontier Canada. Booklist (USA): This winner of the 2014 Arthur Ellis Award is a good match for readers who relish suspense drawn out at a leisurely pace, lavish details of Pacific Northwest Coast Indian life, and the particular edginess of unreliable narrators. The January 2011 issue of the Psychologist magazine has an interview with Haldane. To download a pdf of the interview click here. Haldane was nominated for the Oxford Professorship of Poetry in 2010 and came 3rd out of 11 candidates. Just before the election he was interviewed by Tim Adams for the Observer. click here. Haldane is co-director and publisher at Rún Press Limited, Cork, Ireland, founded in 2013. Its ‘Pocket Poems’ format brings the German ‘Taschenbuch’ tradition into the English speaking world, with quality hardbacks which are small enough to be genuine pocket books. ‘Rún’ is the Old Norse spelling of ‘rune’ and it came into Irish where it means ‘inscription’, ‘intent’, ‘secret’, and by extension a secret or treasured love. It has also been borrowed into Finnish where ‘runo’ means ‘poem’. The poets Robert Graves and Valentin Iremonger in a correspondence in 1944 described poetry as ‘a shared secret’. The first two Rún books were published in 2014: The Poems of Valentin Iremonger, edited by Haldane, and The Poems of Martin Seymour-Smith, edited by David Cameron.